This book represents a convincing attempt to put clarity on the current debate whether health sector universal and equitable access in Italy should be guaranteed by (and mostly depend on) public financing only or, rather, a combined approach based on public funding and private assurance systems. The debate entails some inherent questions: Is the growing trend of public health spending in Italy unavoidable in the long run? Is a combined public/private system expected (and proved) to work better in terms of effectiveness, efficacy and equity? The introduction and the eleven chapters of the book are like-minded and uniformly structured in their will to provide a basis for reflection and key take-home messages. To this aim, tables, boxes and figures are included as instrumental in enhancing clarity while adding building block information for the sake of readers – be they citizens, students, stakeholders, politicians or advocates. The first section of the book analyses the Italian expenditure for health (in comparison with other countries) and its future projections, and reports around the reasons and size of national health cuts in funding. Without forgetting the underlying realities (meaning the interests of involved parties) pushing towards private assurance solutions. The second section turns the spotlight on how to keep up national health service sustainability in the future, where some recipes are suggested for the accountable leaderships. These encompass health spending containment strategies based on avoiding waste, putting a transparent drug price control in motion, reallocating investments from poorly effective to valuable ones, and improving population health through reinforcing all-kind prevention measures. Recipes also include pushing for a coordinated response to fight corruption (while refraining from being caught with corporate holdings in a circle of mutually reinforcing political and commercial interests over public health concerns). So compounded, the book allows the readers to understand (while offering itself explanation of) the reasons behind a host of issues accounting for the drift towards private health financing options as part of unbridled neo-liberal policies deceptively meant as the driver for economic prosperity. No wonder that ingrained neoliberal globalization underpinning unfettered trade liberalization (meaning collusion between national-transnational corporations and their political counterparts) is currently responsible for the social inequities and health worsening worldwide. Under these circumstances, and consistent with the overall book insights, the Author infers that Italian government should tackle neoliberal drives in an efficient manner to ensure that citizens enjoy equal health benefits on an equitable basis, while advancing global health through public financing over political and commercial interests. He staunchly messages that interests for the many, not the few, are to be prioritized in Italy to secure non-discriminatory access to health. As such, he calls on decision makers to keep up an effective public health system for nationwide universal coverage, whereby selective interventions can be put in motion for the sake of disadvantaged people, including immigrants and the new poor. In a nutshell, this book provides a forward-looking, balanced analysis, with insightful suggestions for solution, over the impending threats and gaps still jeopardizing non-discriminatory access to global health in Italy. Written in easily readable, brilliant Italian language, the book is a very commendable piece of work. It would definitely deserve to be translated into English and let interested readers worldwide enjoy up-to-date, in-depth information on the debate about public health situation and trends currently in Italy. 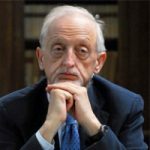 Formerly, Chief Medical Officer National Tumor Institute of Genoa; Chief Medical Officer Firenze Centro Hospital Center; Vice-President Italian Health Council; Councilor Department of Health and Human Services Firenze Municipality. Some of the many books by Marco Geddes: Trattato di Sanità Pubblica (Editore NIS); Guida all’Audit clinico (Il Pensiero Scientifico Editore, 2008); Le Tavole del Regolamento dei Regi Spedali di Santa Maria Nuova e di Bonifazio (Polistampa, 2008); Cliente, paziente, persona (Pensiero Scientifico Editore, 2013); Peste. Il ‘flagello di Dio’ fra letteratura e scienza (co-authored with Costanza Geddes da Filicaia: Polistampa, 2015). 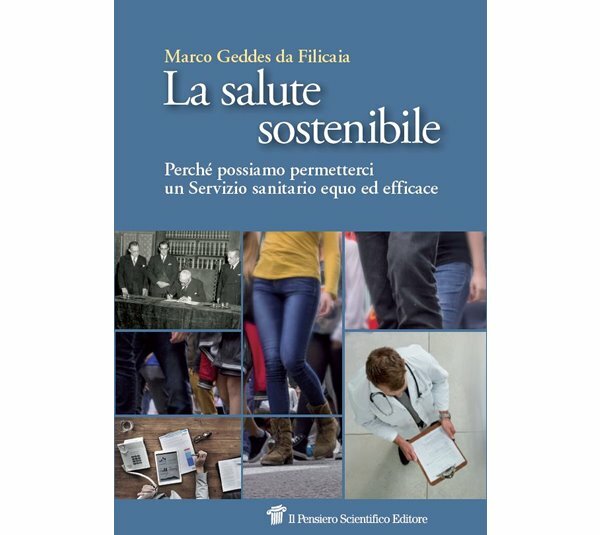 Together with Giovanni Berlinguer, Geddes has edited the annual report La Salute in Italia (Ediesse). 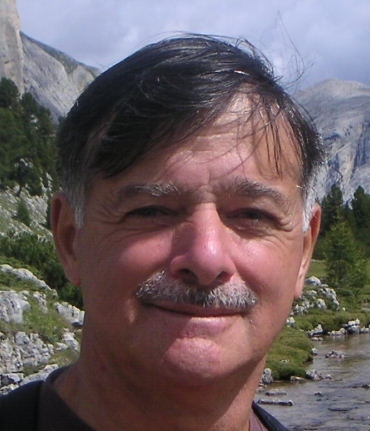 He is a scientific committee member of the quarterly review Prospettive sociali e sanitarie.